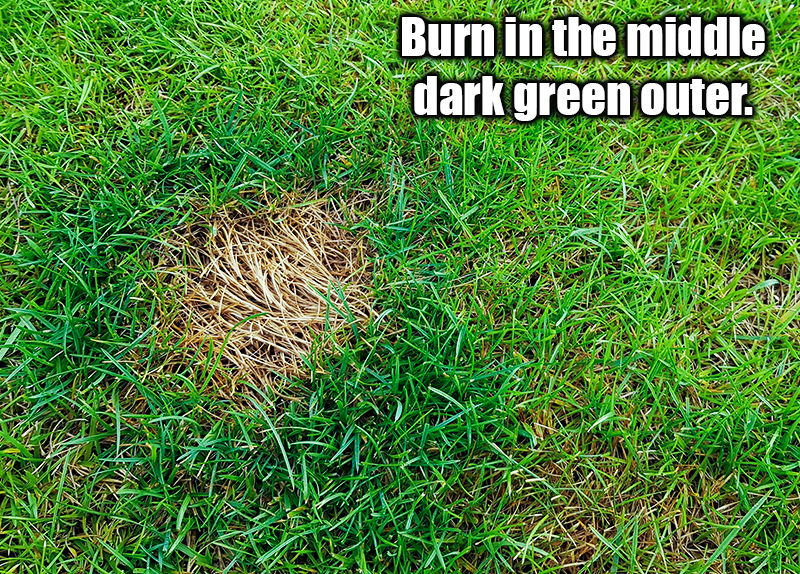 Dog urine / pee will leave burn spots in your lawn. In this video, Doc shows you how to deal with them. The key to solving this problem is to understand that the reason why dog urine burns lawns is due to the high amount of nitrogen. It’s like dumping a handful of fertilizer in a small spot. the same thing will happen. Urine burn spots usually have a brown center and a dark green outer ring. The outer ring is high nitrogen feeding the grass NOT to the point of burning it. 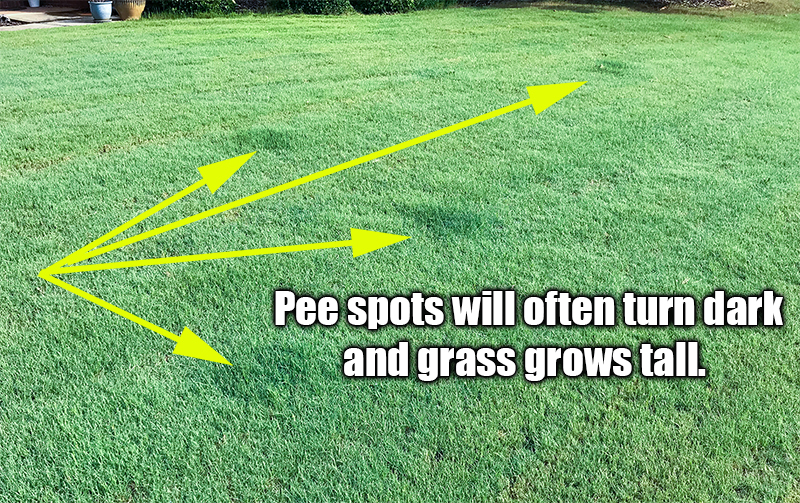 Over time, or during periods of heavy rain, urine spots will look like dark green circles.